Photo taken on February 5th off Cape Hatteras, which can be stormy. 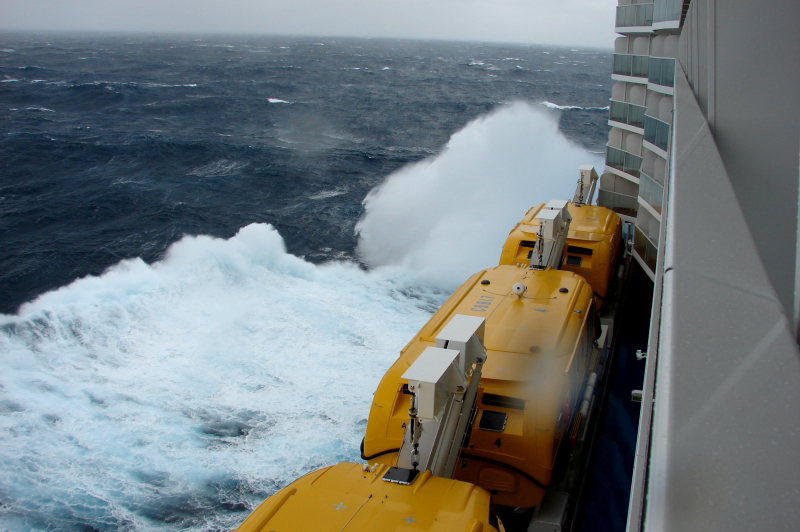 But on the following cruise, this week, the conditions were even worse. ANTHEM suffered some damage and had to return to New Jersey early for repairs. Looks like we selected the right week to cruise. This photo has been shown 846 times since it was added to the site.